“Under the partnership, Dizengoff Ghana will bring its products to the door-step of farmers in Brong-Ahafo, Northern, Upper East and Upper West Regions at reduced prices”. 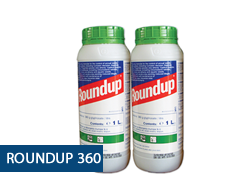 We call on the government to ensure that the use of such a highly toxic and controversial chemical is suspended until the science becomes very clear. We must not use Ghanaians as guinea pigs in such a dangerous experiment! 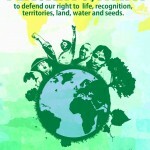 Food Sovereignty Ghana stands in solidarity with all progressive people around the world to salute and celebrate the International Day of Peasants’ struggle. We fully recognize this distinguished group of humanity who provide the majority of food we consume on the planet. For millennia mankind has depended on peasant farmers to provide the daily nutritional needs of our communities and they continue to remain a most significant pillar in the organisational structure of any nation. FSG is however highly concerned that the rights of the peasant have never been under more pressure since the beginning of time. There are many factors affecting peasant welfare in a negative manner and FSG calls upon the stakeholders of the world’s food production systems to incorporate more sustainable models of agriculture to ensure a balanced approach. It is only this dynamic shift of thought which will provide the much needed relief that millions of peasants desperately require. It is almost beyond the deadline for governments to develop the political will and support their citizens and the environment. This celebration is observed at a time when there are more and more calls from across the board for a return to more agroecological farm practices to ensure the sustainability of the environment. As the most important stakeholders in the food production value chain, peasant farmers deserve to be respected and have their rights protected to ensure they continue to play the invaluable role that they have played for millennia. Farmers‘ rights include the ability to save, use, exchange and sell farm-saved seeds and these are under heavy threat from the proposed Plant Breeders’ Bill. Specifically to this effect FSG reiterates its call on the honourable house of Parliament to publishthe report on the Civil Society and Faith Based Organization consultations on the Plant Breeders’ Bill (PBB). We must warn the government and Parliament to be aware of the interests behind the massive lobbying activities of the transnational corporations in support the Plant Breeders’ Bill, and be reminded that their primary duty is to the welfare of Ghanaians. A properly written report, detailing the various objections to the PBB in the petitions, and the reasons why our MPs think they must not be taken into consideration, if any, must be made known to all Ghanaians. Transparency is the key and on this day when we recognize the daily struggles and celebrate their triumphs over what could be avoidable obstacles we feel that Ghana owes it to our peasant farmers to ensure their welfare. In so doing we automatically safeguard our future food supply as well as protect the environment and livelihood of almost sixty percent of our population. In place of the proposed PBB which is so unfortunately inspired by the very controversial UPOV 91 plant variety protection regime, we humbly urge the government of Ghana and Parliament to consider and adopt a “sui generis” PVP system which also takes care of plant breeder rights as well as those of farmers, as this also fulfils WTO obligations. On such a momentous occasion we call on the government of Ghana to pay great attention to the sustainability factor in implementing its proposed “Planting for food for jobs” programme. Any programme to achieve the sort of targets identified will require much attention to detail in ensuring that factors such as soil fertility, climate change, equitable access to land, information and inclusion in policy making are addressed. According to news reports, Mr Kwaku Asomah-Cheremeh, the Brong-Ahafo Regional Minister, explains that the programme, a new initiative and intervention introduced by the government to promote national food security and job creation, “interested farmers would be provided with free seedlings and other agricultural inputs and agro-chemicals such as fertilizers at reduced prices”. Mr Asomah-Cheremeh made this known at the launching of the KVCL/Dizengoff partnership project in Sunyani. We join independent experts all over the world as we point to agroecology as the way forward. Peasant farmers are scientists with indigenous knowledge who understand their land, the flora and fauna that live in their surroundings and we must harness this ancient wisdom that maintained the sustainability of ecosystems for millennia. FSG wishes all peasant farmers and their families a happy International Day of Peasants’ struggle!